Hate running out of quality coffee? Join a club to receive selections from all around the world, conveniently delivered direct to your door. We have partnered up with suppliers that source coffee beans from countries like Colombia, Brazil, Peru, Costa Rica, Guatemala, Nicaragua, Burundi, Ethiopia, Kenya, Rwanda, Malawi, Indonesia and more. Choose a selection that fits your budget. Just select how often you would like your pack delivered and whether you want Filter, Espresso, Beans or Capsules. Do you Know South Africa has Become One of the World’s Top Producers of Quality Olive Oil? South African Olive Oil producers produce some of the best Olive Oil in the world. A lot of the producers are wine estates. 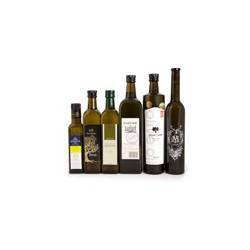 Based on our relationship with wine producers it made sense to create an Olive Oil and Olive Products Club. Our expert buyer selects the best Olive Oil & Olive Products South Africa has to offer and you will receive these at the lowest prices, conveniently delivered to your door. 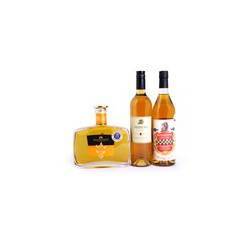 South African Brandy producers consistently get awarded as some of the best Brandy producers in the world. Our expert buyer selects the best brandy South Africa has to offer and you will receive these world-renowned brandies at the lowest prices, conveniently delivered to your door. Choose a selection that fits your budget. Just select where and when you would like your pack delivered. 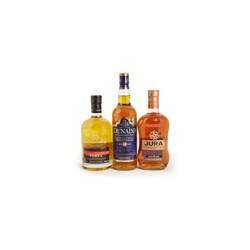 As well as whether you would like it delivered 2 or 5 times per year and if you would like 3 or 6 bottles of brandy. The Brandy Club is based on a price parameter system. I.e. Your pack will never be higher than the stated amount (view Price tab) … this gives our buyer the flexibility to choose the very best for your selection. Some good news for a whisky aficionado… You know how it is with almost any agricultural product. Some years are better than others. And, no matter the year, there is always a batch of your production that stands apart from the usual stuff. It’s the same with whisky as with wine. In whisky’s case, there are independent producers who sell their whiskies to the big distillers to blend and bottle under the big names. However, there is always some of the independent producers’ production that is too good to be sold under a branded name and that they keep for themselves. So that’s what we’ve got for you. Some of the finest single batch Scotch whisky available. We taste individual casks from distilleries all over Scotland and from among them we put together your regular Whisky selection—whiskies made up from different regions, casks, ages and types. After a few months of being a member you would have tasted some of the finest Single Batch Scotch Whisky available. And considering the quality, at very reasonable prices. MCC is the South African version of champagne. It is made using the original, bottle fermented process used in France. Every step of the process aside from the grapes, is the same. The quality of our grapes coupled with the expertise of our wine makers is such that our MCCs rival some of the best French Champagnes. 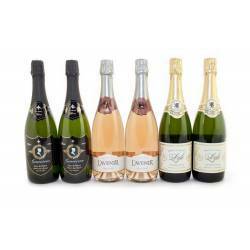 Champagne is made using grapes grown only in Champagne, a north eastern province of France. Regardless of the method used to make it, anything else simply is not Champagne. The Champagne Club is based on a price parameter system. I.e. Your pack will never be higher than the stated amount (view Price tab) … this gives our buyer the flexibility to choose the very best for your selection. Every month we select one of the South Africa’s finest small-batch craft Gins, often exclusive bottles not available elsewhere and send it to our members along with a range of handpicked, quality products that complement the showcased Gin-of-the-Month along with the accompanying tasting notes from the distiller. Comprehensive distiller’s notes, packed with information about the Gin, its unique properties, bespoke cocktail recipes, tasting notes and experimental garnish ideas to bring your drink and glass to life. A full-size bottle of the finest Gin from craft distilleries around South Africa, including exclusive and limited editions. 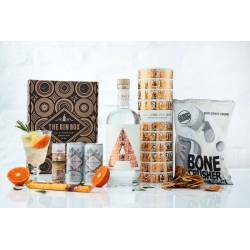 A specially selected range of gourmet treats, tonics, cocktail ideas and other goodies to complement each Gin. R650 per box, delivery included. Choose whether you would like to receive your Gin Box monthly, bi-monthly or quarterly.